The Removal of the Temporary Mataaf Bridge has started, on 3rd April 2016. The Bridge was closed early in the Morning after the very last people performed their Tawaaf. The complete removal is expected to be completed by May 27th, just 10 days before Ramadan. 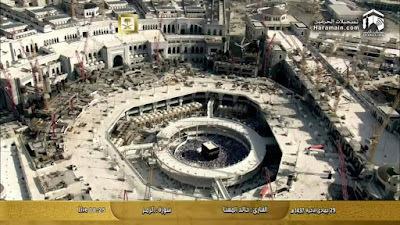 The King Abdulaziz Extension is expected to be opened before Ramadan, which in turn will allow the roof to be opened and as 3 floors will be available for the pilgrims to perform Tawaaf.